A high energy mix of music from the caribbean, including Reggae, Dancehalle, Soca and More, by your favorite DJ and Gainesville's #1 DJ, Mr. Magnum. 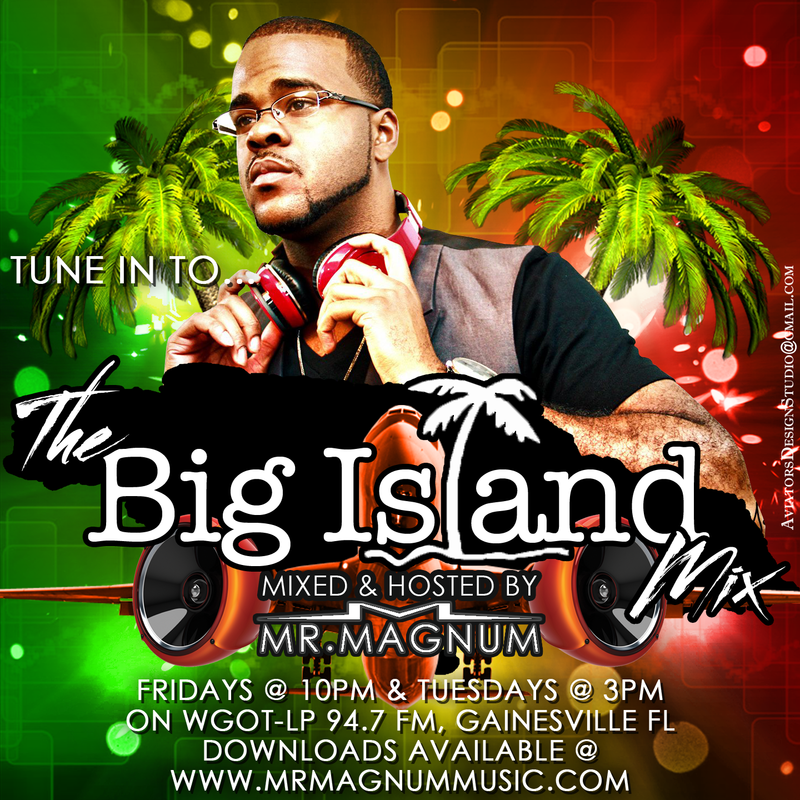 A high energy mix of music from the caribbean, mixed by Gainesville’s #1 DJ, Mr. Magnum. With episodes airing weekly, Friday nights at 10pm, on WGOT-LP 94.7 Gainesville. Each weach, Mr. Magnum brings what’s new and what’s next in reggae, dancehall, soca and more. This week we featured the I-Octane, Barrington Levy, QQ, Live from Kingston Riddim, Digital Shade Riddim and more. A high energy mix of music from the Caribbean by your favorite DJ, Mr. Magnum.